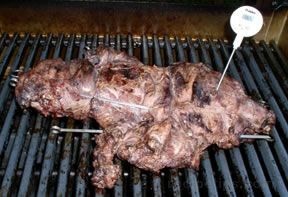 Because of growing concern that harmful bacteria may be present in the internal portions of meat, it is now recommended that whole lamb cuts be cooked to an internal temperature (after the resting period, if applicable) of not less than 145°F. 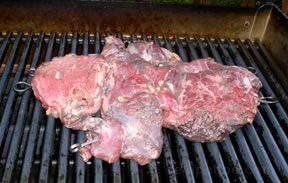 Many people prefer lamb cooked rare (a final internal temperature less than 140°F), but this decision is up to the consumer and is certainly not recommended by the USDA. 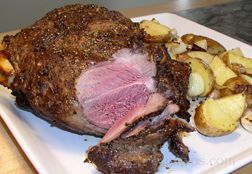 Although various tables showing recommended cooking times are useful as a general guide, there are many variables that affect the actual amount of time for a cut of lamb to reach a particular stage of doneness. 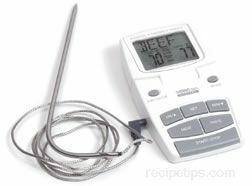 Therefore, the only reliable guide for determining doneness is with the use of an accurate meat thermometer. It is important to remember that after a cut of lamb is removed from the heat source, the internal temperature will continue to rise if the meat is allowed to rest for a few minutes. 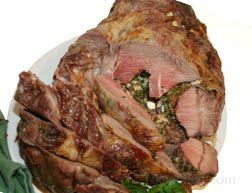 Although thin lamb cuts are usually served within a short time after removal from a grill or broiler oven, thicker cuts, such as roasts, benefit from a resting period before slicing and serving. The resting period, which may range between 10 to 30 minutes, depending on the lamb cut, allows the juices to be distributed evenly throughout the meat and allows the internal temperature to rise because of the residual heat. The internal temperature will increase 5º to 10ºF during the resting period, which allows the lamb cut to be removed from the heat source when the internal temperature is lower than the desired doneness. The interior of the meat will be red. Note: It may be risky to consume lamb that is minimally cooked. The interior of the meat will be pink. 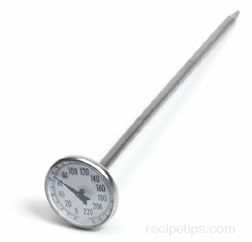 temperature of the meat should reach a safe level of 145ºF. The interior of the meat will be barely pink. temperature of the meat should reach 160ºF. The interior of the meat will be gray-brown throughout. temperature of the meat should reach 170ºF. 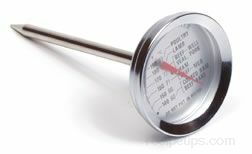 A meat thermometer should be used to verify that a cut of lamb has reached the appropriate temperature according to the desired doneness. It should be inserted into the thickest portion of the meat. The thermometer should not be placed near a bone or in a fatty area, which will result in a temperature reading that is inaccurate in terms of proper doneness. 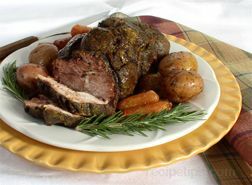 An ovenproof thermometer can be placed into a lamb roast and remain there throughout the roasting process. 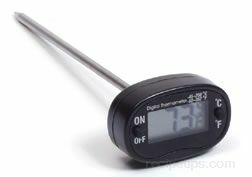 Most instant read thermometers are not ovenproof, so they cannot remain in the roast during cooking.